Dressing Recovery works with treatment facilities nationwide. 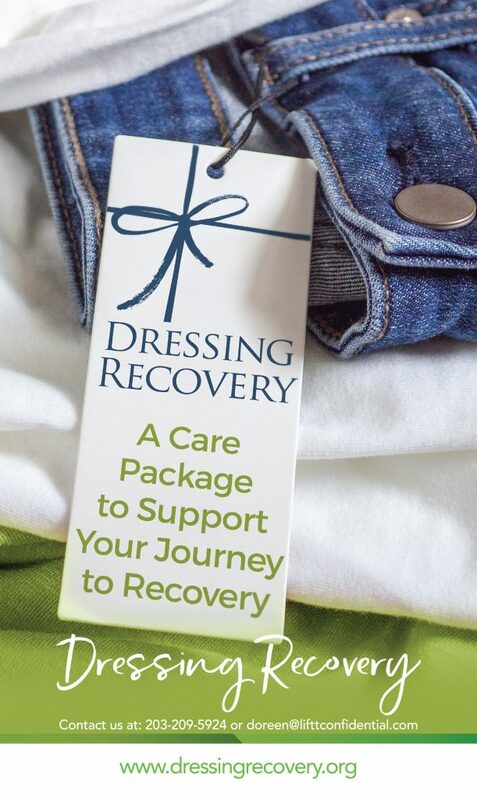 Dressing Recovery is a program that provides a care package of clothing for people who've entered an addiction recovery treatment center with only the clothes they're wearing. Dress Recovery reaches out to patients who’ve made a commitment to substance abuse treatment and offers them a care package of clothing as they embark on their recovery. The organization needed a written description of the service it provides that treatment facilities could include in their own brochures. 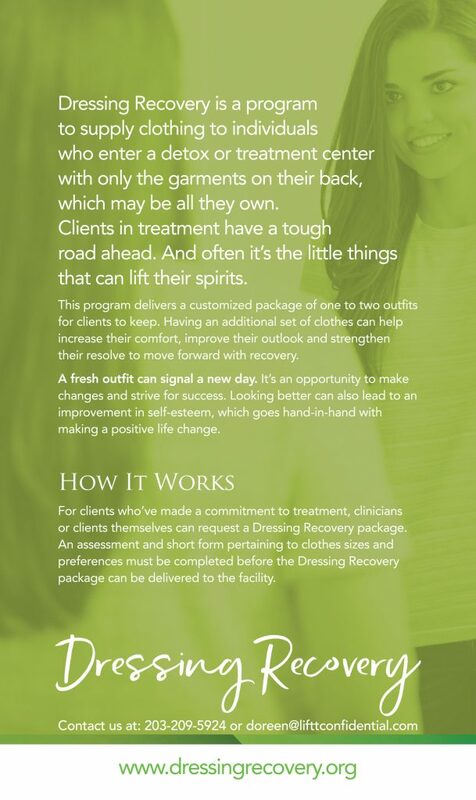 Susan Greene, copywriter, worked with her graphic designer to create a two-sided flyer that explained Dress Recovery’s mission to provide support to patients in treatment for a substance abuse disorder. The images chosen along with the copywriting on the flyer are meant to be uplifting. The organization’s mission is to help support patients on their journey to recovery. The finished flyer is sized to fit within most treatment facility’s existing brochures. It can also be used on its own, given to patients or their family who may need the organization’s services. The flyer is helping the organization to identify and reach out to more people who can benefit from its program. Could your business or non-profit organization benefit from a flyer promoting your services? Work with a pro to create a flyer that spreads the word about all you can do..